Everyone is a VIP on our anniversary. 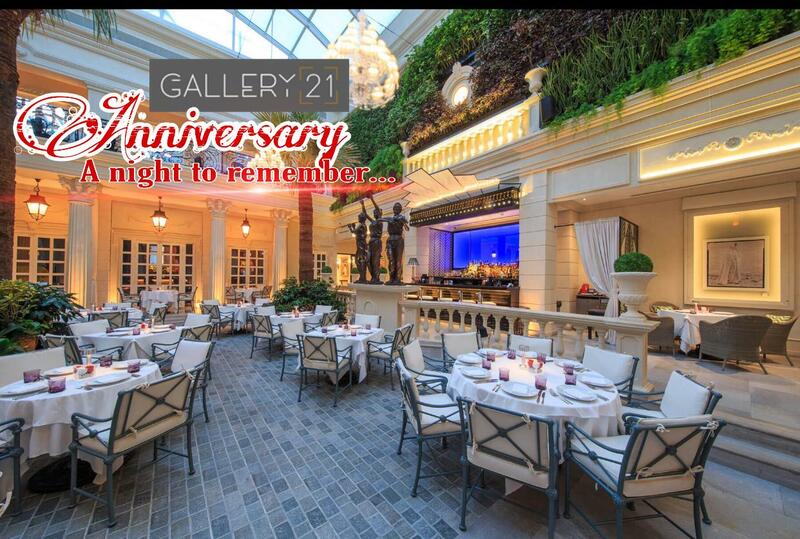 Gallery 21 is hosting a night to remember. DJ Unona is jetting in with glamorous dancers. Prinatan are staging a spectacular fashion show. The sounds of the live saxophonist serenade you all night. Feb 28th will be an amazing evening, not to be missed!